The city of Avondale gave Mae Jorgensen a $200 check when she removed the grass from her front yard and replaced it with desert landscaping. Avondale gave her another $200 when she removed the grass from her backyard two years later and created a garden of low-water plants and trees. While that was nice, Mrs. Jorgensen’s decisions earned her far more than $400. Her water bill, which once fluctuated from $100 to $200 a month, depending on the weather, is now a steady $68 a month. She once paid her landscaper to come every two weeks. He now comes once a month. Please don’t tell Mrs. Jorgensen that you keep your grass for your dogs. 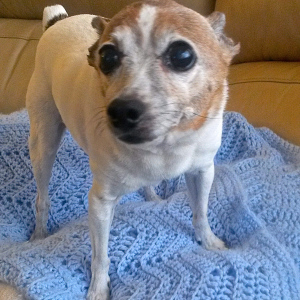 Woody Lee, her Toy Fox Terrier, and Dutchess, her Shih Tzu, don’t miss the grass. In fact, they don’t seem to notice. Most cities in the Greater Phoenix Metro area will pay homeowners and businesses to replace grass with desert landscaping. For example, Peoria offers homeowners and businesses up to $1,650 off their water bills if they remove at least 500-square-feet of grass and replace it with low-water plants and trees. Peoria’s program is so popular it runs out of money about midway each fiscal year. This year is no exception and city council members are expected to refund the program in July. In 1986, Glendale became one of the first Phoenix metro area cities to offer homeowners a rebate to replace grass with low-water plants. In 2005 Glendale added businesses to the city’s program. Homeowners can receive a rebate on their water bill of up to $750. Businesses and other non-residential water users can get up to a $3,000 rebate. Avondale’s Mrs. Jorgensen said the secret to keeping the dogs happy was replacing her large patch of grass with pea-sized gravel instead of larger, traditional stones. She also added flagstone, a bench and a pair of ceramic cowboy boots. The once grassy area is surrounded by a wide selection of low-water trees, cacti and succulents, some in large colorful pots. Mrs. Jorgensen put in a few fast growing white oleanders along her back wall for privacy and lined her porch with palms. Mrs. Jorgensen, Dutchess and Woody Lee have concluded that grass is just unnecessary. For information about low-water use landscaping and rebates offered in your city visit the AMWUA conservation page at amwua.org.